I was in Millom on Monday, to record a conversation with Eric Robson (of Gardeners’ Question Time fame) about Cumbrian poet Norman Nicholson. We walked out on the nature reserve at Hodbarrow – former site of the Millom ironworks and the haematite (iron ore) mines that gave rise to them. Eric is making a programme for BBC Radio 4, to go out in early January around the time of Norman Nicholson’s centenary. Nicholson (1913 – 1987) was certainly the most important Cumbrian poet of the twentieth century, but I’d say his writing was valuable and excellent in a wider perspective, whether you’re interested in Cumbria and the Lakes or not. 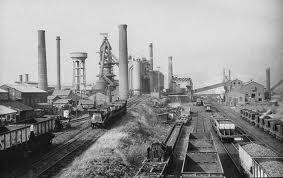 Sidings and blast furnaces at Millom haematite works – now vanished. 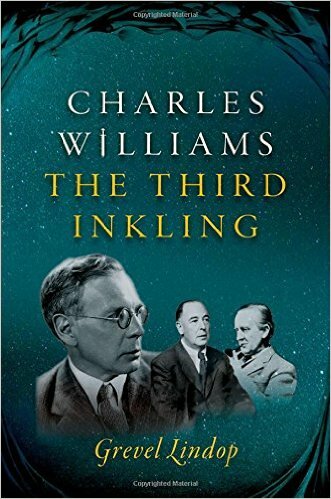 He’s very much identified with the small coastal town of Millom – which from the 1850s until 1968 was a hub of heavy industry, with mining, iron smelting, and ships mooring at the quay to take pig-iron all over the world. Nicholson spent almost his whole life in the town, stubbornly (perhaps neurotically) refusing to move away. I say ‘almost’ because he had a couple of years down south in a TB sanatorium in his late teens. It may have been the experience of this frightening illness that led him to stay, lifelong, at home: that, and becoming somewhat institutionalised during those years when his airy hut at the sanatorium was his entire world and he was hardly allowed to get out of bed. But he wrote about the town, its inhabitants, and the nearby landscape and geology of the Lakes in a unique way. Rather than spreading wide, he dug deep, and he found a way of talking about the unyielding facts of the land and the rock, and the ultimate decline of the industry he had known, which is memorable and unique. All that was mortal in five thousand lives. In the small lock of one recording brain. During his lifetime people wondered why Nicholson didn’t move. His London publishers, Faber, were grudging about his work, and didn’t produce a Collected Poems until well after his death, when readers lobbied for it. But now it’s evident that it was his artistic mission to function as that ‘one recording brain’. He did something no one else could have done, showing us a world that is now largely gone but remains fully human and valuable, and also chronicling its disappearance. Of blackberry, blackthorn, heather and willow grubbed up and flattened. An expert botanist, he felt that nature could repair herself better than mankind could. Hating pollution and ugliness, he also believed the National Trust should preserve some mines, factories and pitheads, so that future generations could appreciate the achievements and struggles of the industrial age. His little prose book Provincial Pleasures is a miniature masterpiece: looking at the town in twelve essays, one for each month of the year, he shows the interconnected lives of the inhabitants, the wildlife, the daily work, the intrigue, the small psychological and spiritual dramas of a tiny provincial town in the late 1950s. Even as he wrote, supermarkets and chain stores were moving in and Britain’s first motorway was being built. He captured a world perfectly and delightfully. But his work isn’t just a matter of nostalgia. Eric Robson asked me ‘Is Nicholson a great poet?’ No, I said. He isn’t Shakespeare or Dante. But he’s an important poet. He has vivid colloquial language, he has an extraordinary, individual and deep perspective – man in the environment, man living on, through and up against geology. He showed how a poet can take the most ordinary-seeming place and make it extraordinary – in such a way that every reader looks at his or her own place and sees it freshly and more vividly. Not a great poet then – but an essential poet.